We had rain right after a cleaning and were pleased to get a free exterior touch up promptly and cheerfully. Great service! 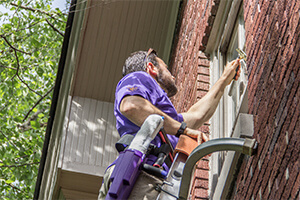 Fast, efficient service, which is most appreciated, but the other company I use cleans the windows better with less streaks for a lower price. Quality of service and really reliable. Friendly Staff and good work!